In our land of plenty, it is not uncommon for people to find the number on the bathroom scale inching up to a reading that we just cannot live with. At that point, we recognize that we need to find a weight loss method that we can both manage easily and that produces results. The challenge is complicated by the fact that no one method works for everyone. Because our metabolisms are different, we’ll have different levels of success. Because our lifestyles are different, we’ll find some too difficult to stay loyal to long enough to reach success. This list does not address which weight loss method is best. It instead strives to give you insight in how to choose one and knowledge about those that are out there. The order is by Alexa traffic count rating, which does not indicate what will work best for you. Do the research and make a choice based on the tips provided. Good luck! This article, which was posted December 28, 2012 as an update of a story from January of 2011, offers 25 tips for losing weight and keeping it off. It was compiled by Nanci Hellmich through support by nutrition experts. Rather than offering a particular weight loss method, it instead gives practical tips that can be applied either by themselves or in conjunction with a particular plan. 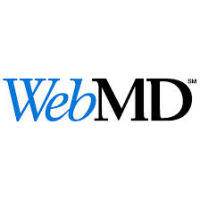 WebMD is a trusted source for all things medical and is popular because of its ability to convey medical information in a format that the non-professional can understand. There are numerous areas on their site for nutrition information, but the link provided is particularly useful to women that are looking for “painless” and practical weight loss tips. While much may seem common sense, there are some tips that you may not have thought about. In addition, you have the rest of the website for backup to specific concerns that could be undermining your weight loss efforts. MedlinePlus is a great source for just about every health topic that you can think of or need information about, but it is their section on weight control that warrants placement on this list. This site is useful for those wanting to maintain a healthy weight as well as those needing help choosing a safe and successful weight loss program. This site is a service of the U.S. National Library of Medicine, National Institutes of Health, making it an unbiased source for information. This article posted by U.S. News Health is fantastic for learning about the various weight loss methods that are out there. They have ranked them but give you enough information about each one so that you can make a determination for yourself. Each method includes a synopsis as well as a link so that you can learn more about the method. When you click the link you are taken to a very detailed report including scorecard, overview, aim, claim, theory, pros & cons and much more. The scorecard is particularly helpful as it is broken down into overall, short term loss, long term loss, ease of following, nutrition, safety, for diabetes and for heart health all based on experts’ reviews. On this page of the Healthline website you will find the best weight loss blogs of 2014 as reviewed on May 6, 2014 by George T. Kruck, MD, MBA. You will find this list of blogs to be inspirational and provide you with valuable information that can help you reach your goals both safely and effectively. It can often be helpful to hear the challenges that others have faced and how they conquered them. You’ll find everything from recipes to exercise tips. delivery ease with these tips. Whether you use a couple of the tips, all of them or something in between, there is a good chance your efforts will show more success than if you followed none of them at all. Use the tips in conjunction with a plan or on their own. The Health website is loaded with information and advice about your health. The link given is for a specific article you may find useful, entitled, “16 Ways to Lose Weight Fast.” Some of the tips can give you a huge jump start on your weight loss which is a great way to put a jump start on your confidence giving you the confidence to keep on track. They address some of the really bad things we do that set us on the road to weight gain in the first place. You may have heard of the diet plan that Reader’s Digest developed recently, but this is not why this website made the list. Instead it is because of the article provided in the link which offers 40 fast, easy tips of which some are quite unique from other such lists. The tips are also very well written and easily understood. You should be able to incorporate a number of them into your lifestyle fairly easily and thus start cutting calories without making huge drastic changes that you might not be able to keep up with. While most people recognize the Cleveland Clinic for dealing with medical problems, not everyone realizes that they are also dedicated to the prevention of disease and focusing on healthy living. As part of this endeavor, they offer an article entitled, “The Very Best Way to Lose Weight and Keep it Off.” It is a very simple to understand article and method for those looking for information about how to calculate the highest number of calories they should consume. While this is just one plan whereas the other sites on this list are not, it is still a good resource for understanding how your body uses calories, regardless of what weight loss method you go with. Even though this article was posted in January 2013, it is still relevant more than a year later. It is included in this list because it offers some weight loss methods that are not addressed on other sites. The more methods you read about, the more likely you will find one that works for you. Some of the options given can be used in conjunction with another method to improve the chance of success. This list was compiled to give you a fighting chance at weight loss, but don’t allow yourself to become overwhelmed with all the choices. You may even find success by combining various methods and tweaking them to fit your lifestyle. The main thing is recognizing that the best plan is the one you can live with, because even if one plan works to get you to your goal weight, if you can’t continue with the lifestyle or changes necessary, you will simply gain it back. Often the slow, steady path is the right one for long-term success.